You are going to love this simple handy trick that will teach you the best and easiest way to preserve fresh herbs! My garden is a weed-filled mess this year (I say that like that isn’t the norm. Well friends, that’s totally the norm right now in my life.). Even though it looks pretty awful, there’s still all kinds of treasures hiding under the weeds. Such treasures include a wealth of basil, oregano, thyme, parsley, and sage! I love having fresh herbs on hand (and I’m going to love it even more when we live near our garden!). My pasta sauce has never been more delicious, our pizza is always topped with fresh herbs, and can’t get enough falafel (recipe from Minimalist Baker and it’s so good!). When I think about school starting again (only 2 weeks left of summer), pumpkins, and cool weather, a little part of me feels sad to see my kids gone all day and to say goodbye to my garden. 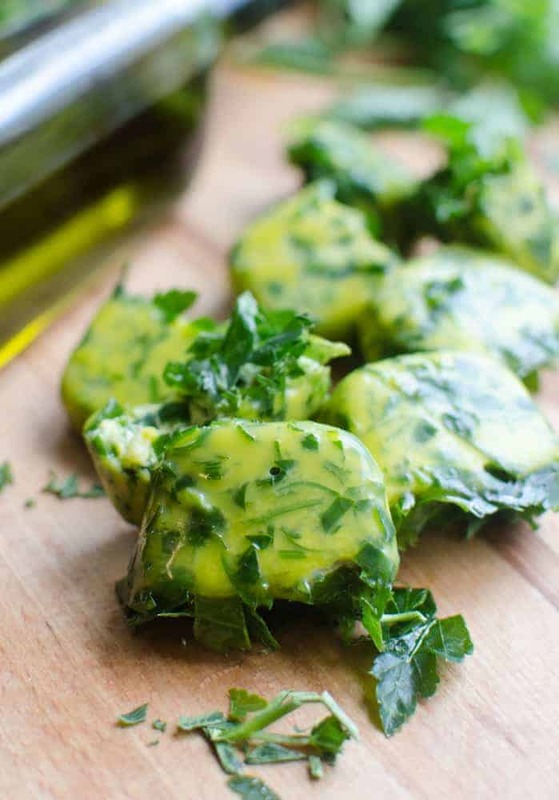 That’s where this great tip on how to preserve fresh herbs comes in handy! 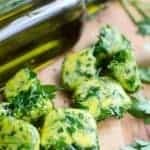 When you make these awesome herb bombs, you’ll keep them in the freezer until you are ready to use them, which means when it’s cold out and there’s snow covering your herb bed (and the herbs at the store a million dollars an ounce), you’ll have a little taste of summer waiting for you. This recipe/tip/trick comes from my friend Rebecca’s new cookbook, Not Your Mama’s Canning Book. Rebecca (who blogs over at Foodie with Family) sent me this book to review because we are friends, and I’m so glad she did! This is a must-have in any modern canning kitchen. 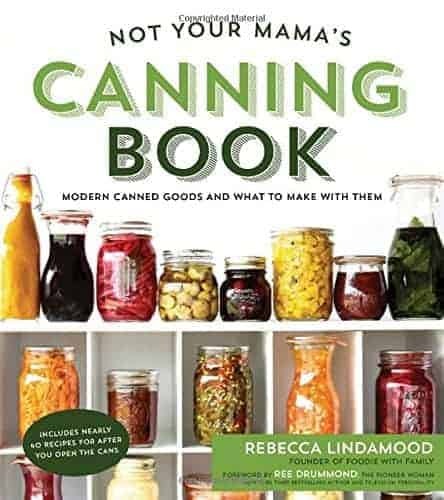 It was so much fun to learn from and read, and I loved that it’s much more than just canning recipes. There’s a whole section of more traditional recipes that you can use your newly canned products in, like Peaches and Cream Baked Oatmeal (using the ginger peach butter recipe in the book), Tortilla Soup (using the Choose Your Own Adventure Black Beans recipe in the book), and Sticky Jerk Chicken Wings recipe (using the Caribbean Heat Habanera Hot Sauce recipe in the book). Isn’t that fun? You won’t just be canning everything from Honey Mustard and Smokey Roasted Salsa to The World’s Best Pizza Sauce and Instant Hummus in a Jar. This book is awesome! Plus there are all kind of other preserving recipes that don’t even take a canner, like this herb bomb recipe, chocolate extract, and mint extract. How fun is that? Herb bombs pack so much more flavor than their dried counter parts, and are much easier to store than fresh herbs. You are going to love these! Learn how to preserve your fresh herbs from the garden or store by making delicious herb bombs. Add everything to a small bowl and stir to combine. Add the mixture to ice cube trays (should make about 16 herb bombs). Freeze until solid. Remove from the ice cube tray and store in a freezer zipper bag. 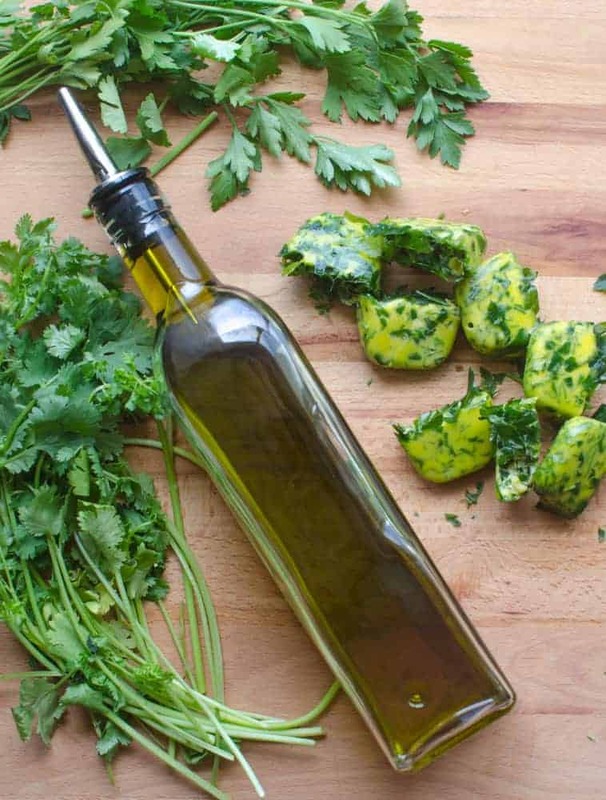 Use in place of fresh herbs in just about any recipe. Not recommended for garnishing though because the extra liquid won’t be welcome. I dropped these in some slow cooker turkey chili the other other day and I sauteed my eggs in another one. They were delicious! What I loved most were all the combinations. 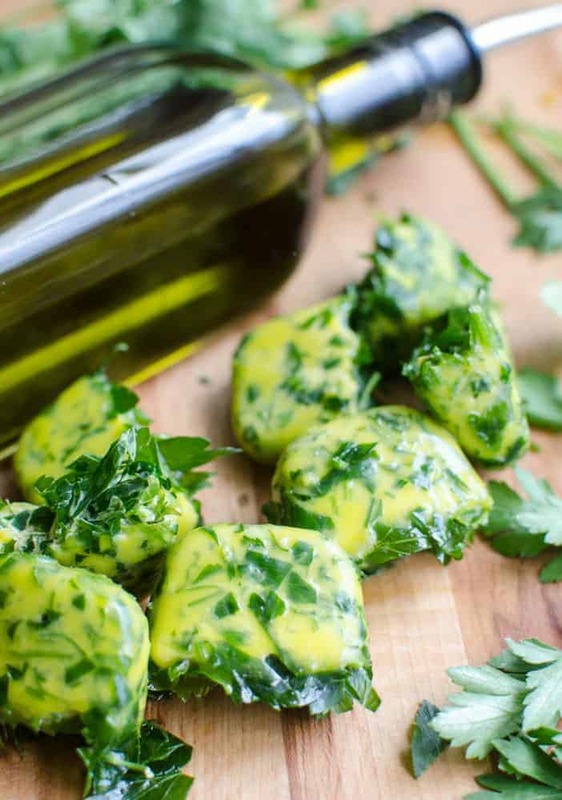 The fresh herbs need a “carrier,” which can be olive oil, but it could also be lime juice (perfect with cilantro), coconut milk (perfect with Thai basil + cilantro + chives), or even water. Not Your Mama’s Canning book has 11 different herb bomb combos, and they all look delicious. 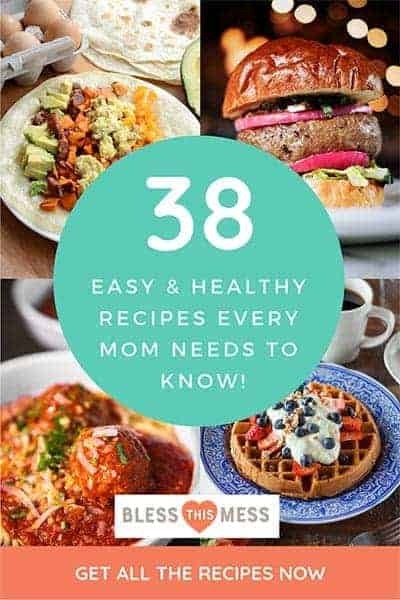 If this sounds like it’s a book you would love to have in your kitchen, you can support Rebecca by buying it on Amazon here. This would also make a great Christmas gift (yes, I’m already thinking about all that!). Enjoy this recipe and book review from my kitchen to yours! I can’t wait to look through this book, it looks awesome! Hope you are doing well friend! Ooo, these look so good Melissa. It looks like a great book! You were right…..this book is amazing. I am having so much fun reading it and drooling and plotting and planning….I am having to force myself to put it down and go to bed! 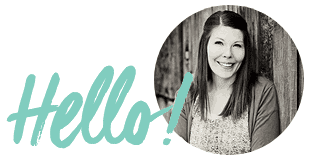 PS….I definitely am a Fearful Canner and a SCS Canner…..I have seen spaghetti squash dangling from the ceiling before! Freaked me out….I didn’t eat spaghetti squash for 25 years after that episode.